Would you mind introducing yourself? Hello, my name's Phil and I'm a 26-year-old photographer from South West England. I grew up in Somerset but I've been living in Bristol for the past few years - I think Bristol is one of the best cities in the world. I graduated with a degree in Photography a few years ago, since then I've been working to fund various travelling trips and shooting as many rolls of film as possible. Camera & Editing Process? My favourite format is 35mm film - you get a lot of detail and depth for something relatively inexpensive and compact. I love using point and shoot cameras with sharp lenses. My current favourite is my Yashica T5. I usually get the film processed and scan the negatives at home. I'll then run the images through Lightroom, making only minor adjustments to the levels, cropping and removing the dust marks. Are there any tips you would like to give to anyone out there who would love to create similar style photos to yours? Keep a camera within easy reach at all times, a lot of my favourite photos have been created spontaneously. Explore new places as much as possible, even if that's just getting a bus to a different part of your city and wandering. Style & Inspiration? I have quite an eclectic style but the common themes are bright or interesting colour palettes and a soft quality of light. I often try to capture every day or banal scenes in a way that makes them look beautiful - I take a lot of inspiration from the New Topographics movement, particularly William Eggleston for his use of colour. What would be your number one dream destination for a photography adventure? By the time this goes up I'll be in the middle of a six month trip through India, Sri Lanka and Thailand. My time will be divided between busy cities and tropical beaches - two of my favourite places to photograph. I also love documenting places much closer to home and spend a lot of time photographing Bristol and towns around South West England. Which time of year is your favourite for taking photographs? Mid Summer, in the late afternoon or early evening, when the light is just right and everything looks beautiful. I feel particularly motivated to go out and take photographs at this time of year - it can be difficult in the UK when we get long periods of grey, rainy weather. Are there any photographers here on Instagram that you wish more people knew about? My good friend @shotbyjakedavis - I love his street portraits in particular. Anything extra you would like to share? 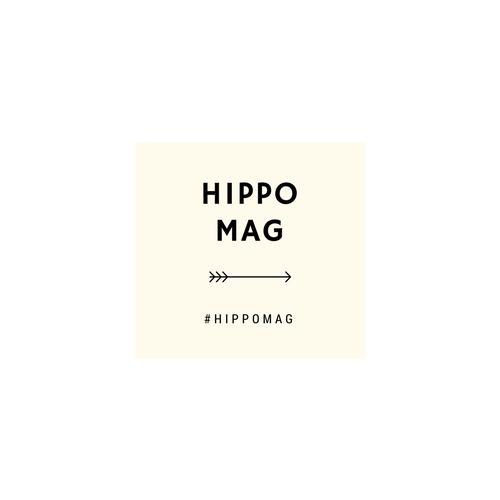 Hippo Magazine has introduced me to some amazing work and photographers - I am so happy to be a part of it and excited to share my photographs.